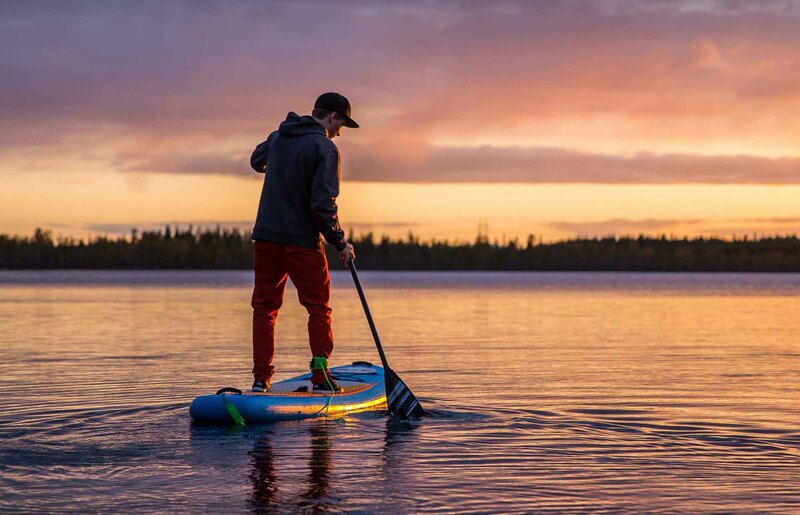 Stand up paddling, paddlesurfing, SUP – whatever you choose to call it, there’s something magical about the simple act of walking on the water. 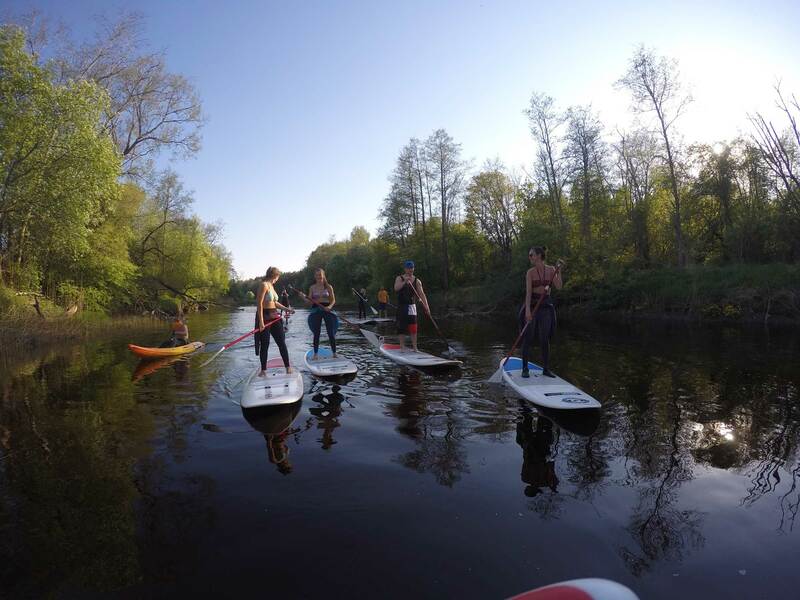 Unlike other board sports that demand hours and hours of practice, SUP is easy to learn, simple to do and it is incredibly FUN. It appeals equally to men and women, young and old, families, fitness freaks, thrill-seekers or yogis. 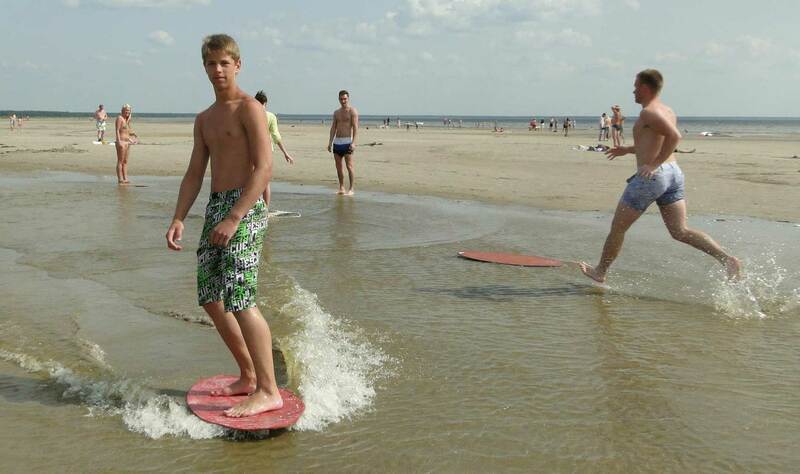 The sandy bottom and shallow water at Pärnu beach provide excellent and safe conditions for anyone curious enough to give it a try. 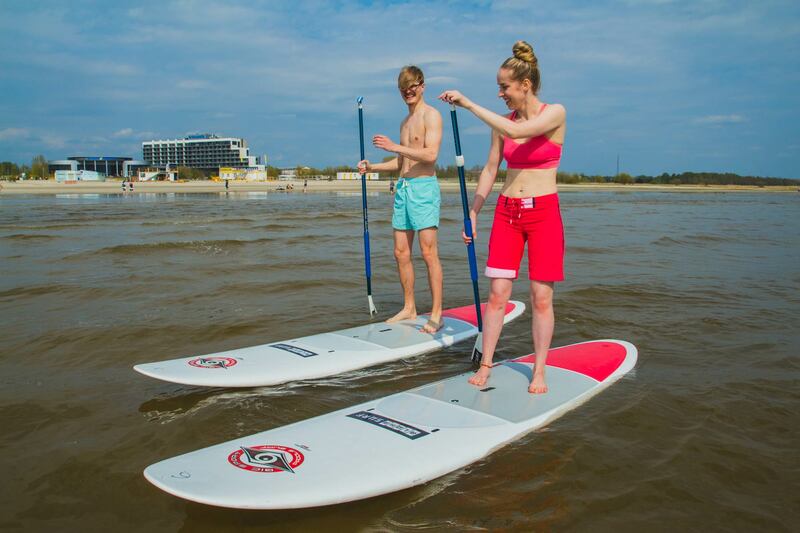 It is also possible to rent stand up paddle boards with transportation and instructor for your private events, festivals, etc. all over Estonia. 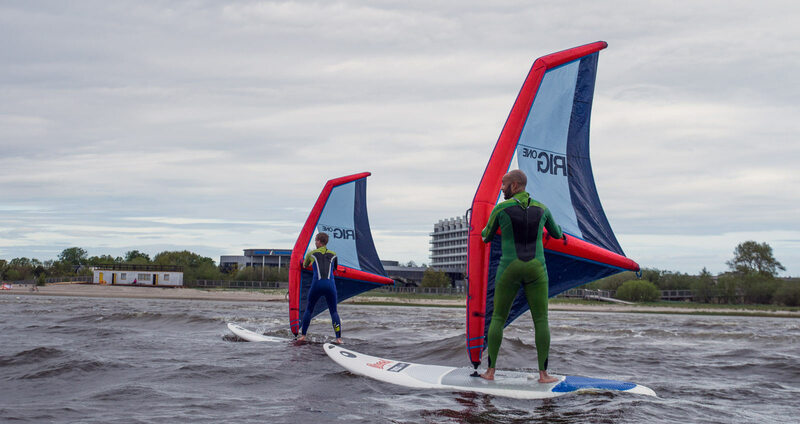 Learning, progressing, competing or just spending time on the water – windsurf is the most exciting and affordable way to enjoy the sailing sensation. You can master the basic skills during the beginner course and after successfully completing the training you will be windsurfing on your own. We offer one hour beginner courses with an inflatable rig, which is suitable for everyone making the first steps towards windsurfing. Or you can choose the three hour course to become familiar with the sport’s true nature. It is also possible to rent windsurfing gear with transportation and instructor for your private events, festivals, etc. all over Estonia. Looking for a little adrenaline rush – this is the sport for you! 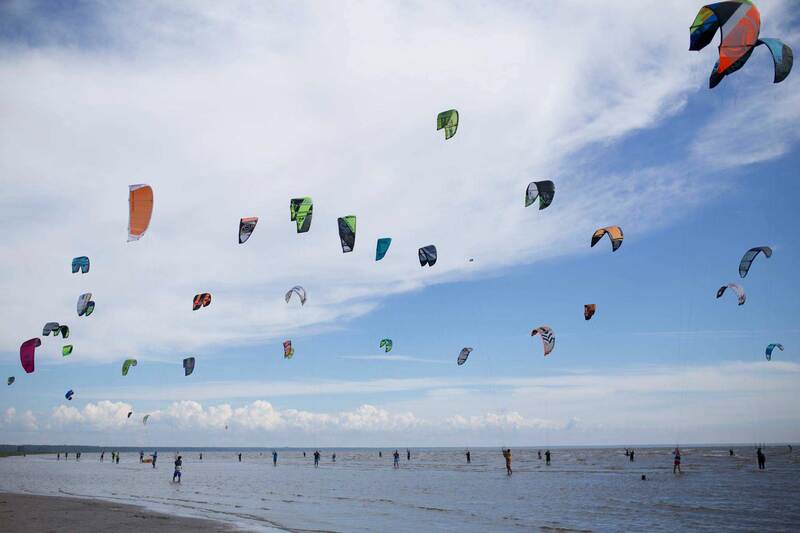 Kitesurfing, also known as kiteboarding, is one of the most popular extreme sports in the world. Aloha kiteboarding courses are based on international teaching programs and all our instructors have an international instructor licence. We offer one hour beginner courses with a trainer kite, which is suitable for everyone making the first steps towards kitesurfing. 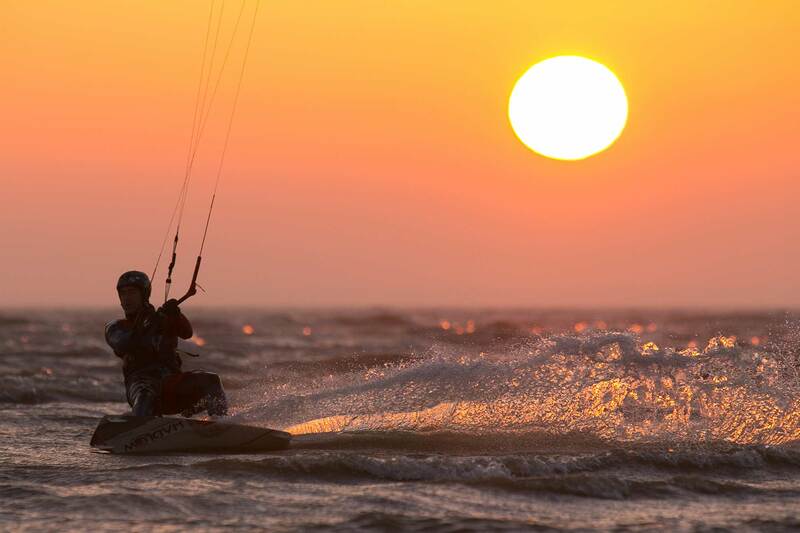 If you want to become an independent kitesurfer then choose the 3x three hour course. 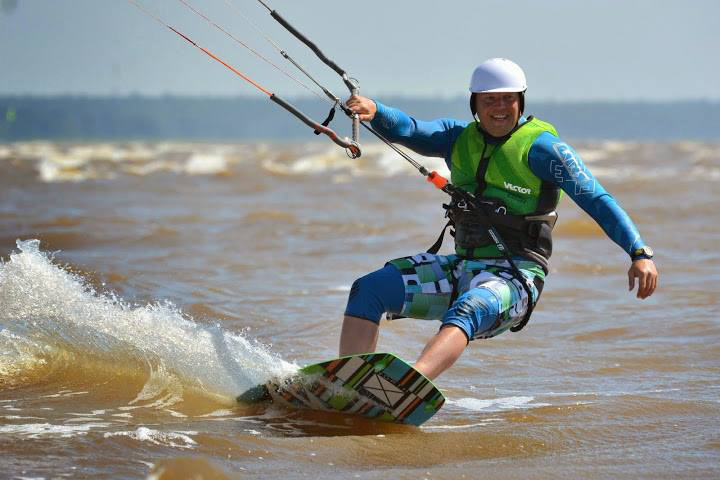 It is also possible to rent kitesurfing gear with transportation and instructor for your private events, festivals, etc. all over Estonia. Skimboarding is a fun activity for groups, families and for anyone with a yearning for fun and something new and exciting. 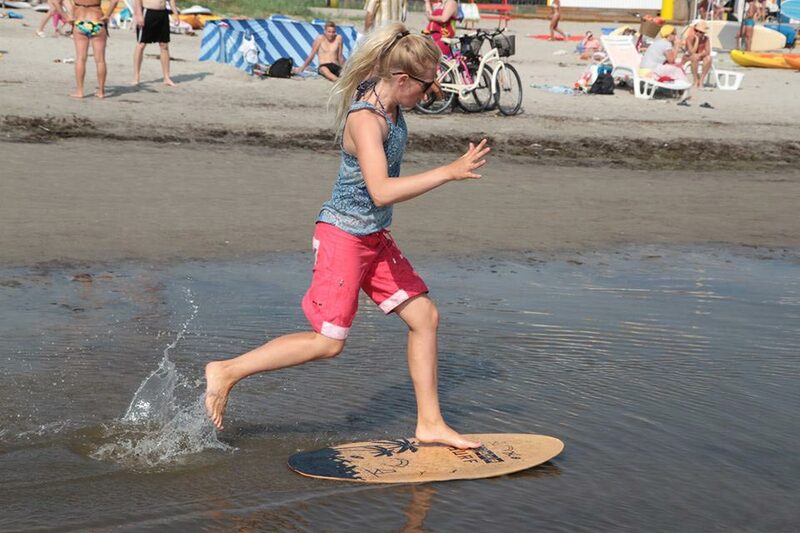 Skimboarding is a boardsport where you use a skimboard to glide over the water. Skimboarding is fairly easy to learn but in order to save time and reduce mishaps and falls, we recommend you take a course. We will show you the proper technique on how to “throw” the board and glide on the water, we will also introduce you the basic maneuvers such as the 180. It is also possible to rent skimboards with transportation and instructor for your private events, festivals, etc. all over Estonia. Whether it’s serious exploring, sport, having fun at the beach, hooking big fish, or taking them travelling – we ensure you’ll enjoy the day kayaking out on the water! 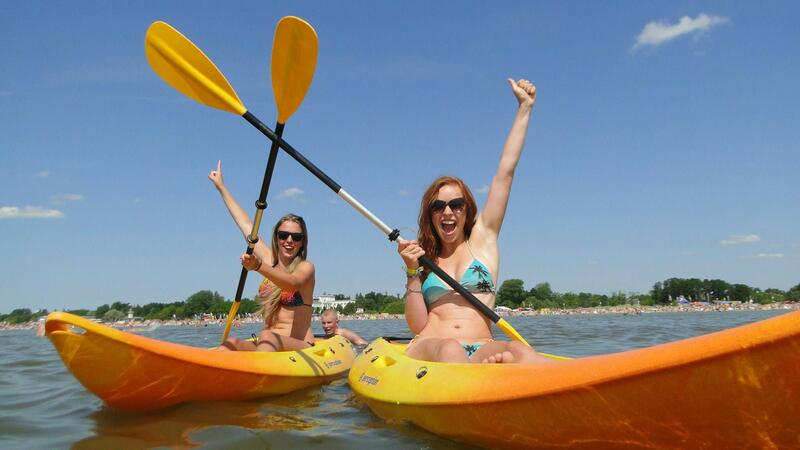 Pärnu beach with its shallow and warm water offers a nice and safe kayaking opportunity. It is a great way to escape from the masses and spend time with friends or family. The activity is suitable for even the youngest in the family. It is also possible to rent kayaks with transportation and instructor for your private events, festivals, etc. all over Estonia. 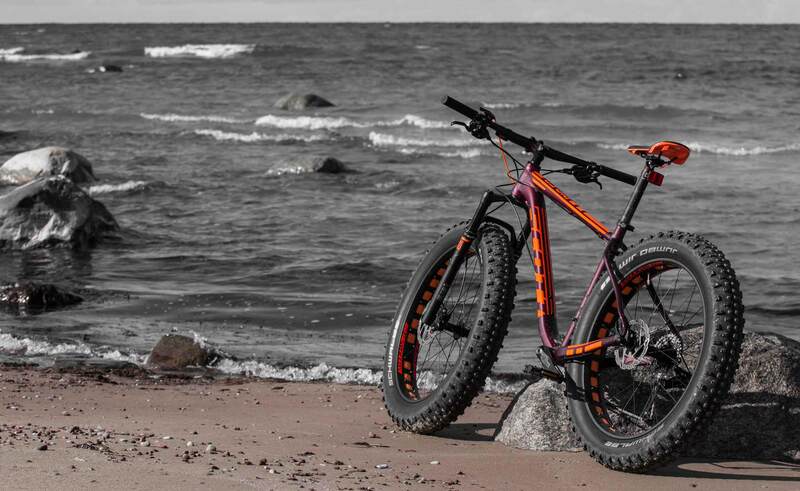 Sand and water – fatbike eats it all for breakfast. 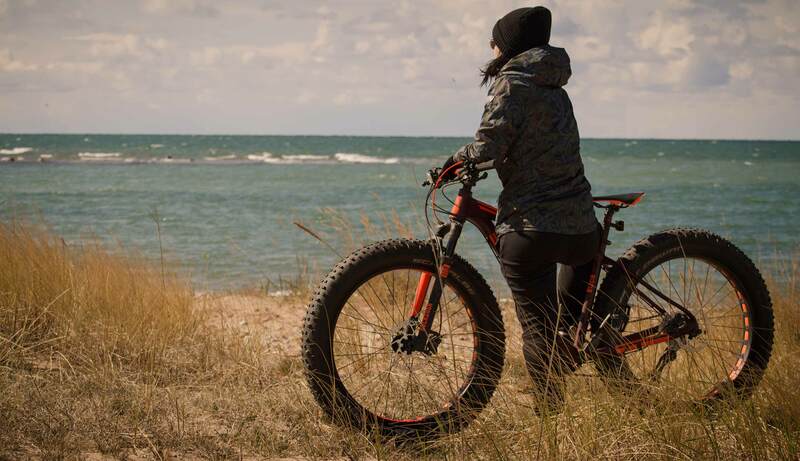 Fatbikes are mountain bikes which means you can ride with them everywhere. There's no off-season with these incredibly capable, incredibly versatile bikes. They offer an unique experience and allow you to explore the beautiful nature in a totally new way. We organize guided tours at Pärnu beach and around the Pärnu area for small and medium groups. 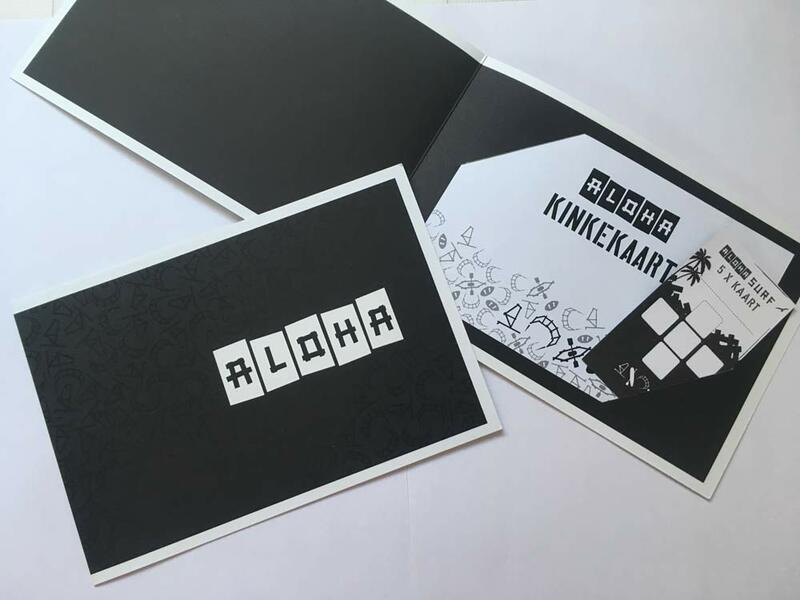 We provide the knowledge and guidance so all you need to do is have fun! 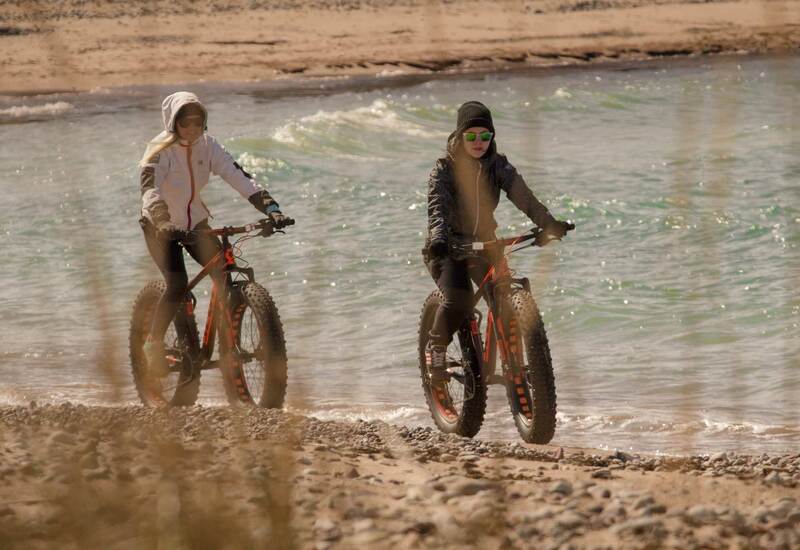 It is also possible to rent fatbikes with transportation and instructor for your private events, festivals, etc. all over Estonia.